Target has me doing a little happy dance every time I walk through the Dollar Spot. The Christmas items are unbelievable this year! 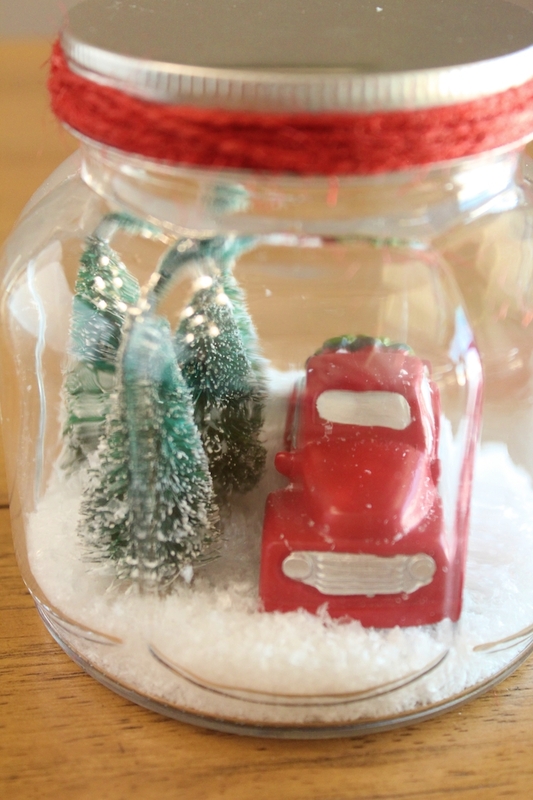 I’m absolutely loving the red truck decor and bottle brush trees. 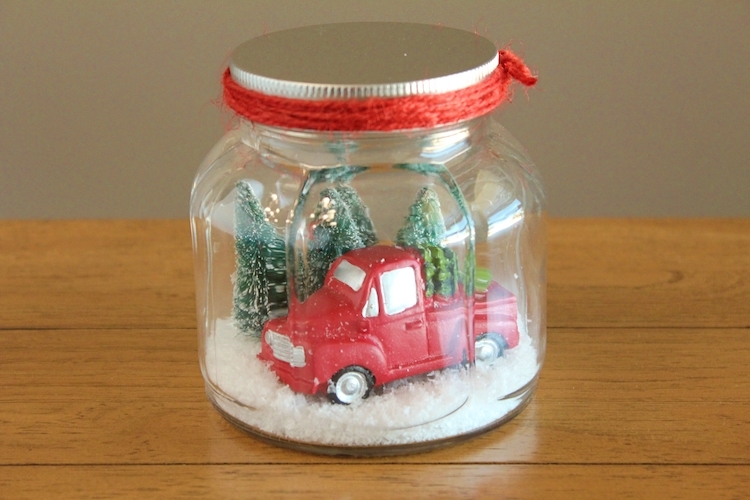 I couldn’t help but combine them to create a little red truck snow globe. 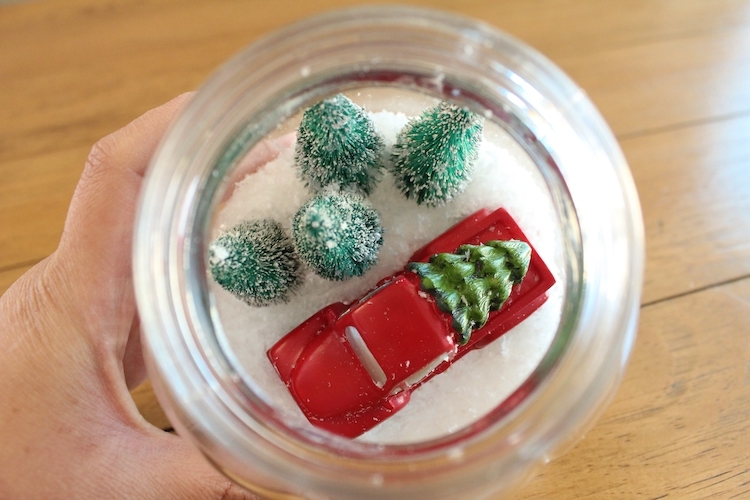 Begin by putting a generous drop of E6000 glue on the bottom of each of the red truck’s tires. 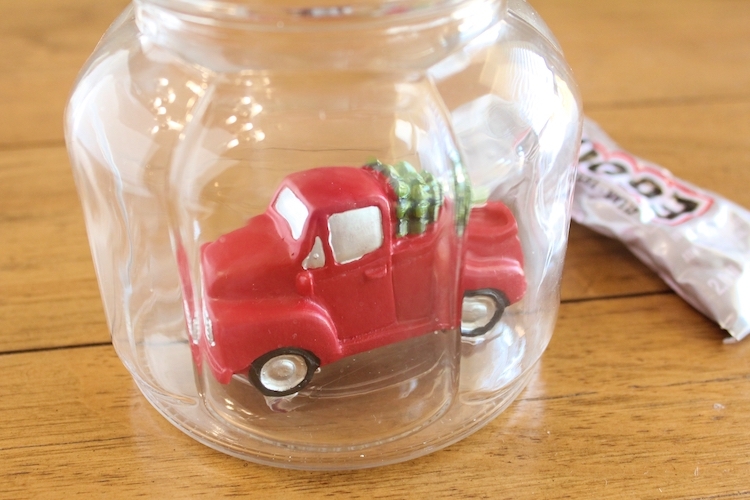 Place the truck on the bottom of the glass jar. Be careful not to touch the glue to other parts of the jar while you’re putting it in there. Let the jar sit for at least 30 minutes. The glue won’t completely set in that time, but the hold should be strong enough by then to keep the truck from moving around. 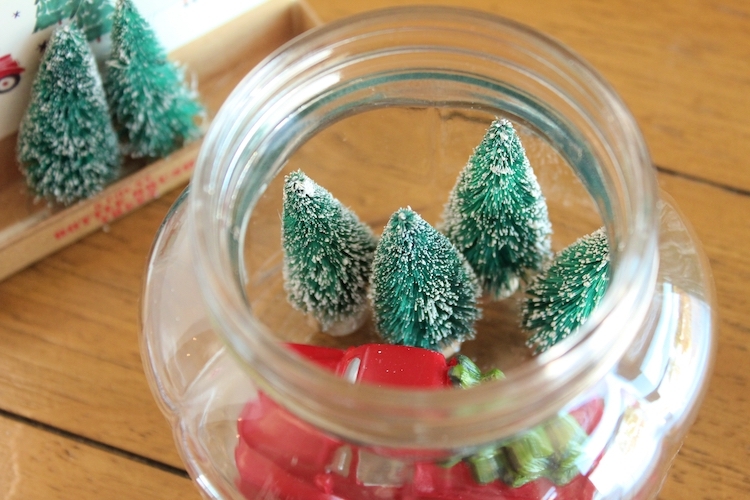 Glue the bottle brush trees to the bottom of the jar. 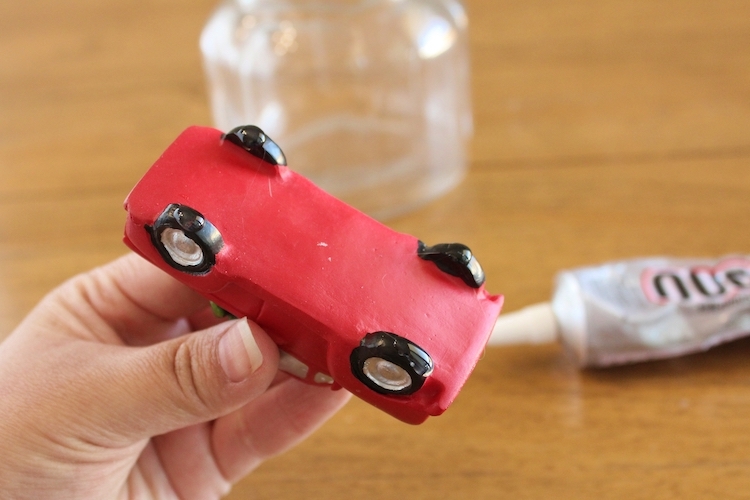 This time you’ll want to let the glue cure for at least 24 hours. 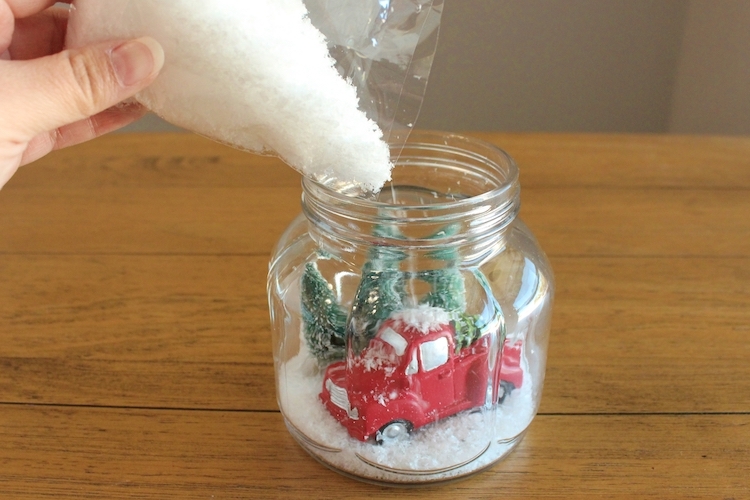 Once the glue has had plenty of time to cure, you can add the craft snow to the jar. It takes a lot less snow than you’d expect so add it slowly. I put in just enough snow to cover the bases of the bottle brush trees and reach the bottom of the tires. 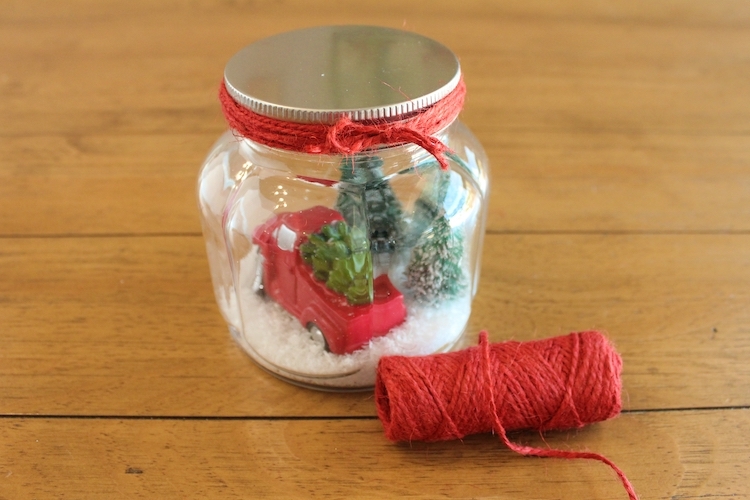 Twist the lid on the jar and tie some decorative ribbon or twine around the lid. 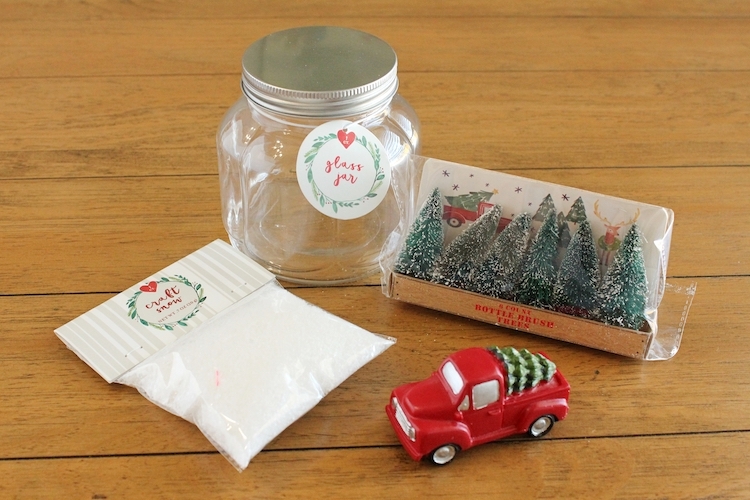 So much Christmas cuteness in one small jar! This would be such a thoughtful way to give a giftcard. 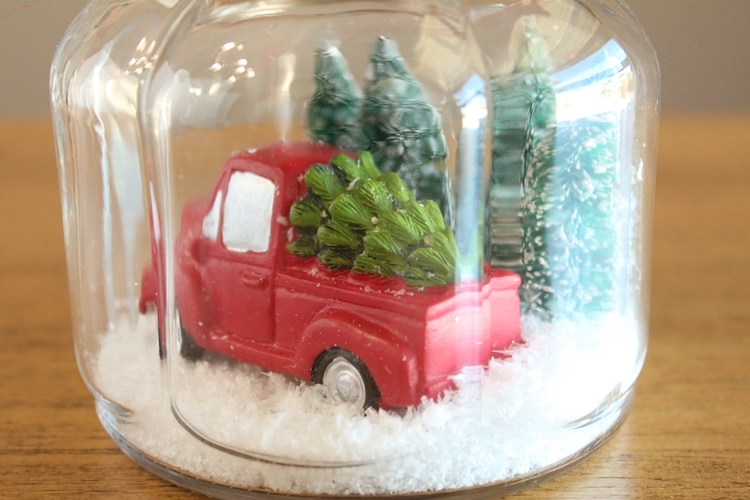 Simply slide a giftcard inside the jar between the truck and trees. 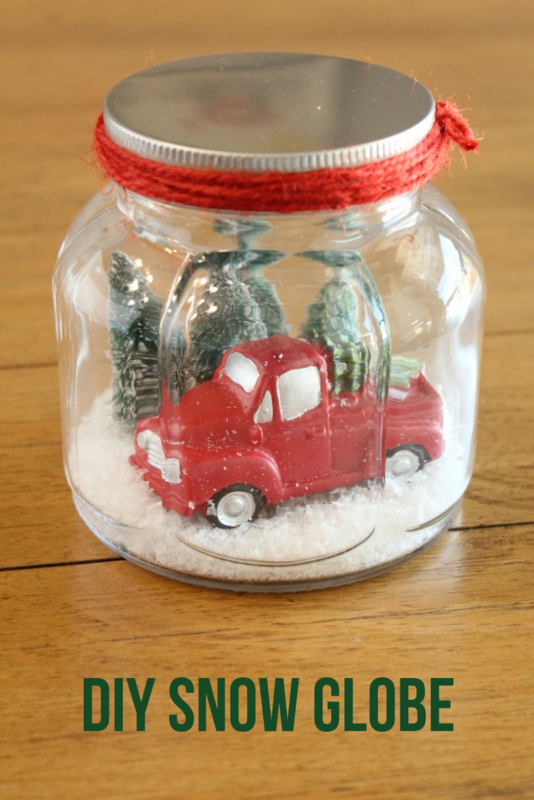 Whatever you decide to do with it, this trendy red truck snow globe is a simple diy you’ll love to make! Analisa is a mom and avid DIYer. Along with her family, she will travel anywhere just to say she’s been. She writes about creating, parenthood, and her family’s adventures at Parental Perspective. She’d love to meet you so feel free to visit her on Instagram or Facebook and say hello!